– Residents in and around Sylacauga will soon have the opportunity to get a gym work out and exercise at their convenience. 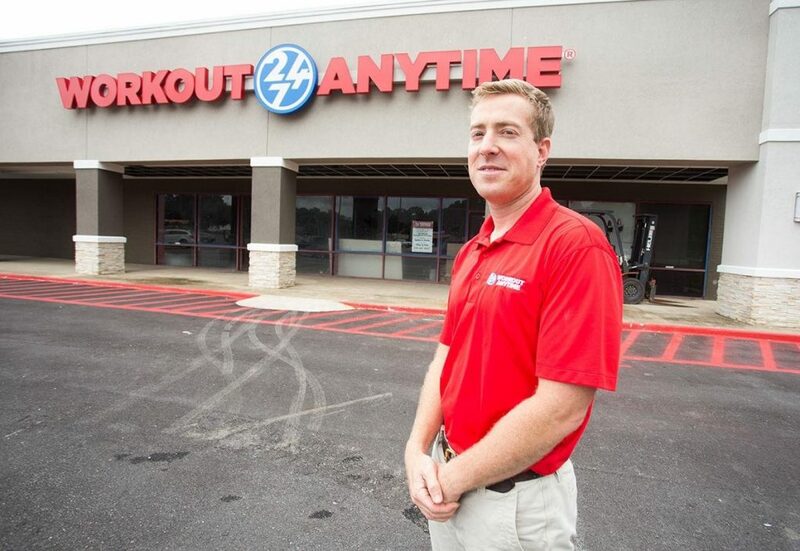 Workout Anytime, an Atlanta-based company, has made Sylacauga its newest franchise location. The 8,300 Square foot building at 540 W. Fort McWilliams St ., and is next to Ollie’s Bargain Outlet. The new facility will be one of its 140 locations across the Southeast. The Sylacauga gym is coowned by Harpole and Wes Cauldwell of Birmingham. “Workout Anytime will provide a variety of equipment and services at an affordable cost,” Harpole said. Workout Anytime also has nearby locations in Leeds and Jacksonville. “Our company was formed to provide members with first-class fitness facilities at the lowest cost possible,” said Randy Trotter, senior vice president of development at Workout Anytime. Harpole added that until the grand opening, interested potential members may enroll at their business office on Broadway Ave., across from Pizza and Pint. “We have a variety of membership packages, starting as low as $15 a month,” he said. “The first 250 people to sign up only have to pay a $1 enrollment fee. For more info about the upcoming Sylacauga location, call (256) 487-6287 or visit www.workoutanytime.com.